Bharat Gopi is a Malayalam language film actor.He won the prestigious National (Bharath) Award for Best Actor for his performance in the film Kodiyettam(his first lead role). 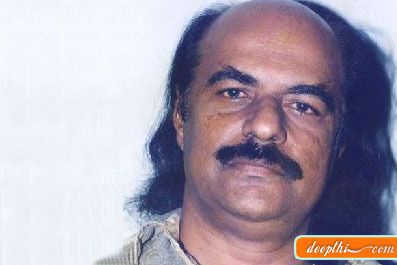 Gopinathan Nair (his real name) was born in Chirayilkil, Trivandrum, Kerala, in 1937. He became famous as Bharath Gopi after winning the Bharath award.He and Sadhu Mehr are the only actors in the history of Indian Cinema to be awarded the National Best actor award in their debut in the lead role. Considered one of the greatest actors of India, Gopi was awarded Padmasri in 1991. Winner of the presitigious Asia-Pacific international award for his performance in 'Kaathathe Kilikkodu (A bird's nest in the wind') and several state and regional awards, the actor suffered a paralytic stroke in 1986, while at the peak of his career. Gopi made his screen debut with a cameo in Adoor Gopalakrishnan's 'Swayamvaram' (1972). A known amateur theatre artiste and activist before his entering films, Gopi won the national award for the best actor for his portrayal of Sankarankutty in Adoor's Kodiyettam (1977)-- his second film, and the first in the lead role. National award for the best actor--kodiyettam- 1977. Five state awards for best actor (1977, 1980 (supporting actor), 1982,1983,1985). National award for the best film on social issues--Yamanam--1991. National award for the best book on cinema--Abhinayam Anubhavam.